Halton House is our much loved Edwardian town house with many period features and is spacious but cosy with that 'home from home' feel. 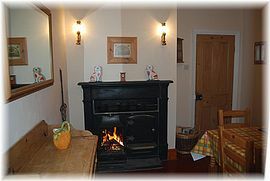 The front sitting room has a beautiful Art Nouveau fireplace with open fire. The dining room has French windows opening to the rear. The large kitchen is fully equipped including dishwasher and washing machine. There is a separate breakfast room adjoining the kitchen with antique cast iron range and open fire. 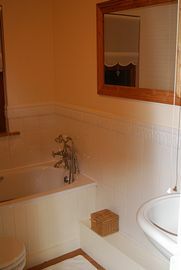 Bathrooms: 1 upstairs with bath & shower over, 1 downstairs with shower. 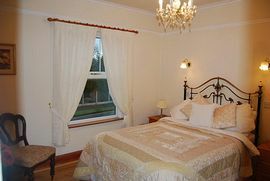 The house is fully double glazed and has gas central heating with instant hot water. The outside area to the rear is block paved providing offroad parking for one vehicle. Halton House is within walking distance of Chester's historic centre; a walk best enjoyed along the banks of the Shropshire Union Canal where colourful narrow boats can be seen negotiating the picturesque locks. The nearby Mill Hotel has a floating restaurant on the canal too. In the centre you can visit Chester's Roman heritage, the Ampitheatre and ancient walls. You can take a boat along the River Dee at the Groves. Marvel at the black and white timbered architecture of the famous Rows where you will find a wealth of fabulous shops and restaurants. You may also enjoy a day at the races at Chester's famous Roo Dee. A short car journey will take you to the famous Chester Zoo or The Blue Planet Aquarium 5 minutes further. The lovely Cheshire countryside is on the doorstep with quaint villages, Delamere Forest, Oulton Park racing circuit, The Candle Factory, The Ice Cream Farm and all that Cheshire's country pubs have to offer. Green Lane has direct access to the A41 and the major motorway links to scenic North Wales (A55), Liverpool 2008 Capital of Culture (M53) and Manchester (M56). We hope you will enjoy your stay in Halton House. 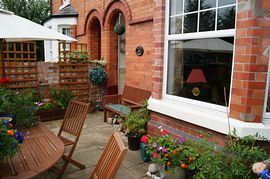 A spacious Edwardian character property. Chester centre, near beautiful Cheshire & North Wales. 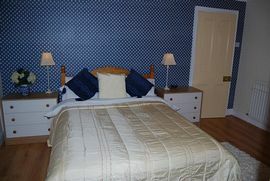 Fresh white linen and fluffy bath sheets supplied. Comfortable beds will be made up with crisp Egyptian cotton sheets ready for your arrival. Absolutely no smokers whatsoever thank you. Off road parking. Sunny patio garden with table and seating. Paved rear courtyard. Local Services: Walking distance from Chester's historic centre along picturesque canalside walk. Local bus route, good local shopping for fresh produce and nearby supermarket. Take the A56 to the junction with the A41 Whitchurch / Birkenhead road at Hoole roundabout. Follow the A41 for Whitchurch. Green Lane is on the right just past The Piper pub. Continue along Green Lane, Halton House is on the right just before the petrol station. For offroad parking turn right into Melrose Avenue, turning into the second parking 'area' on your left. You will enter the house from the rear. On the A51 proceed towards Chester centre, straight on through the traffic lights on the A41 at Vicars Cross. Turn right into Green Lane at the pelican crossing / petrol station. Halton House is on the left. Proceed along City Road to the junction at The Barrs. Turn left onto the A51 continuing for approcimately 1 mile into Vicars Cross. At the traffic lights by the petrol station turn right into Green Lane, Halton House is on the left. Deposit of £150 required at the time of booking. Payment in full 6 weeks prior to arrival date. Please email or call 01244 300168 / 07961 900 534 for up-to-date availability and prices. Change over day is generally Friday but flexible. Halton House is available from 4.00pm on your day of arrival. Departure time is 10.00am on your last morning.